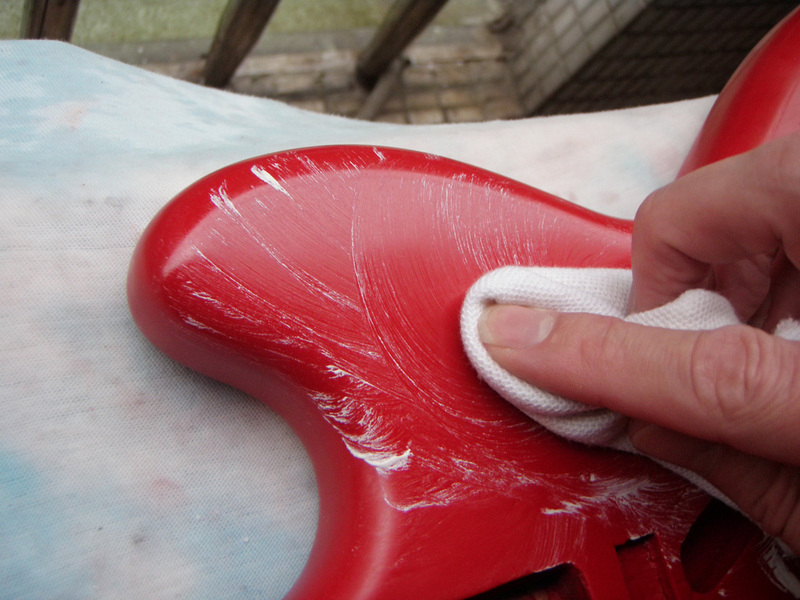 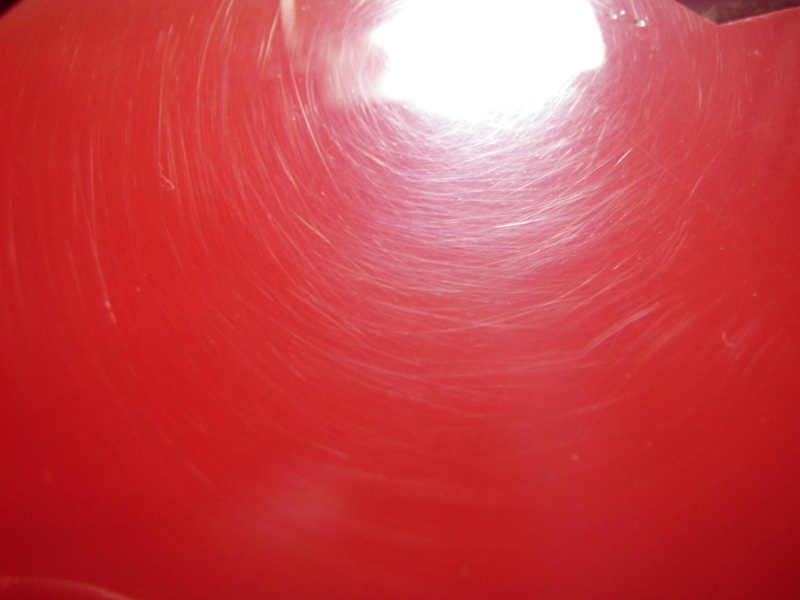 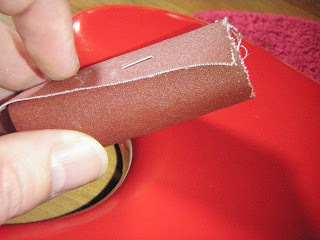 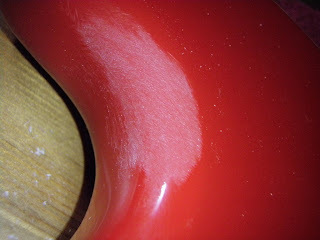 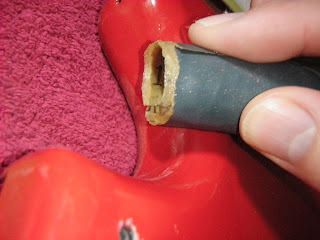 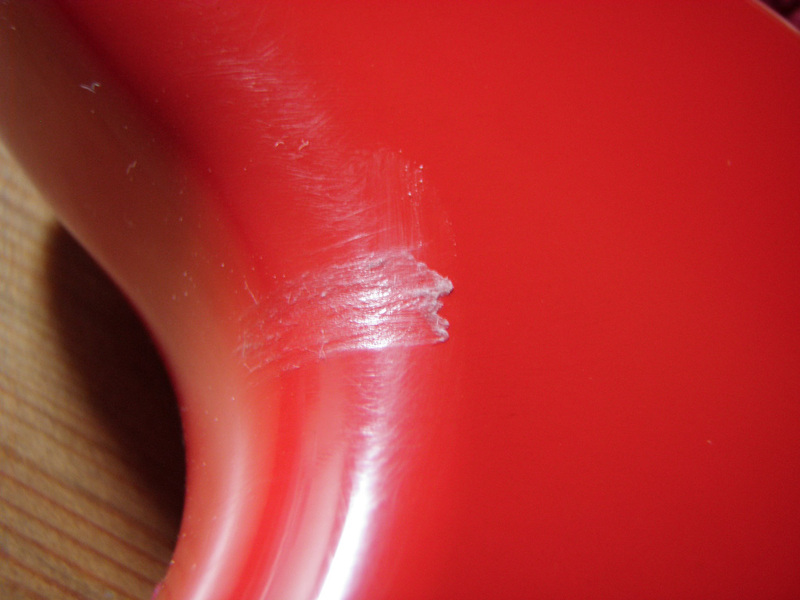 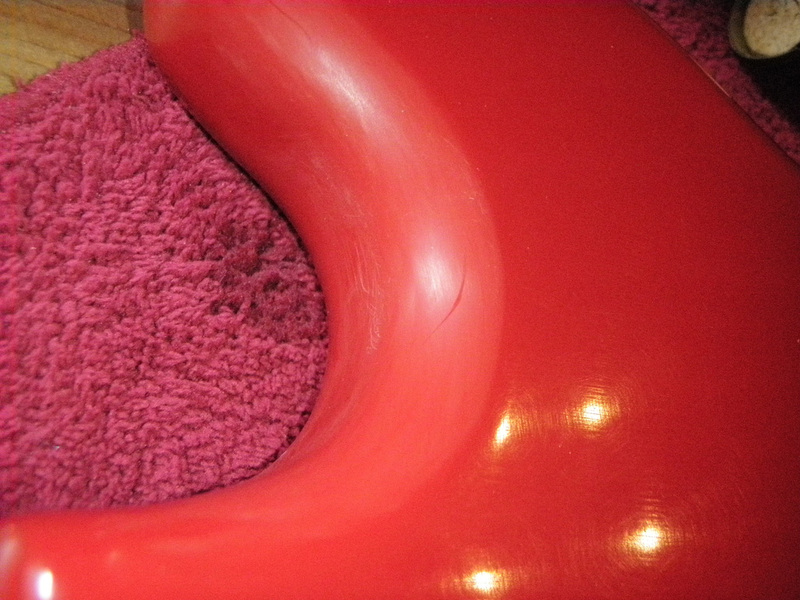 It probably didn’t help that the lacquer hadn’t completely cured so was still a little bit soft. I’m sure there’s a term for this, but I can’t for the life of me remember what it is. 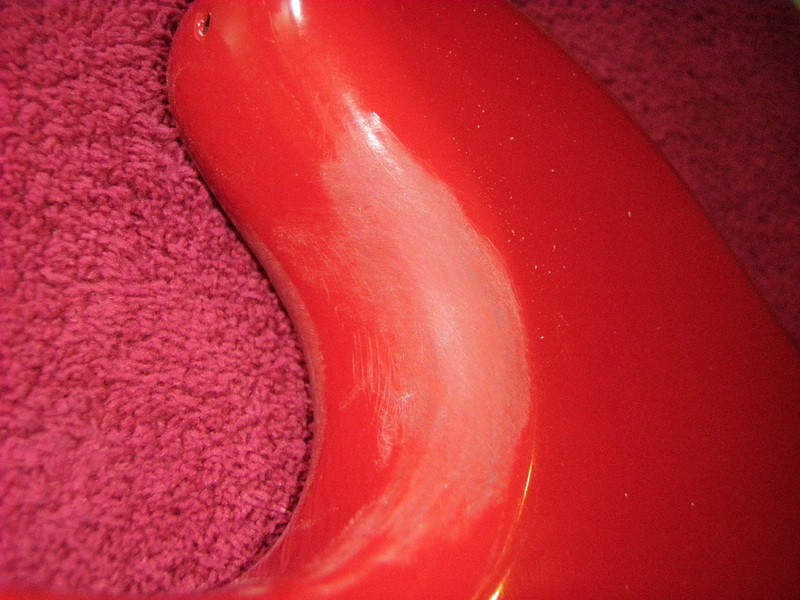 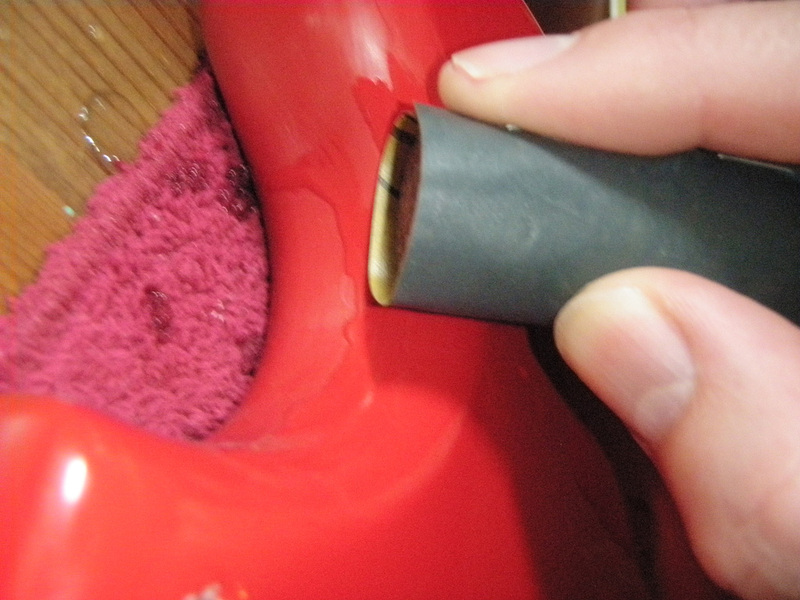 The long and sort of it is that I friction burned it, causing the lacquer to melt and shift. Luckily I had enough lacquer on there that even after all the sanding, I never broke through to the paint. 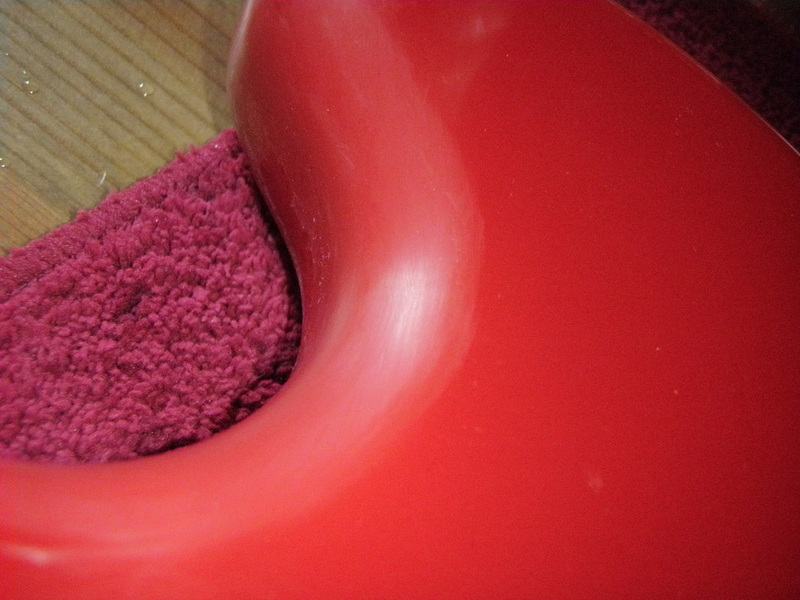 Had I done so, I’d need to do a bit of painting/lacquering and a little bit more sanding to get to this stage, but it would still be perfectly do-able. The whole body was then wet sanded with 400 grit paper wrapped around a rubber sanding block. This left us with a clear view of any imperfections that were either small divots that were missed at the time of filling, or where the filler didn’t stay in place during pre-paint-application sanding. 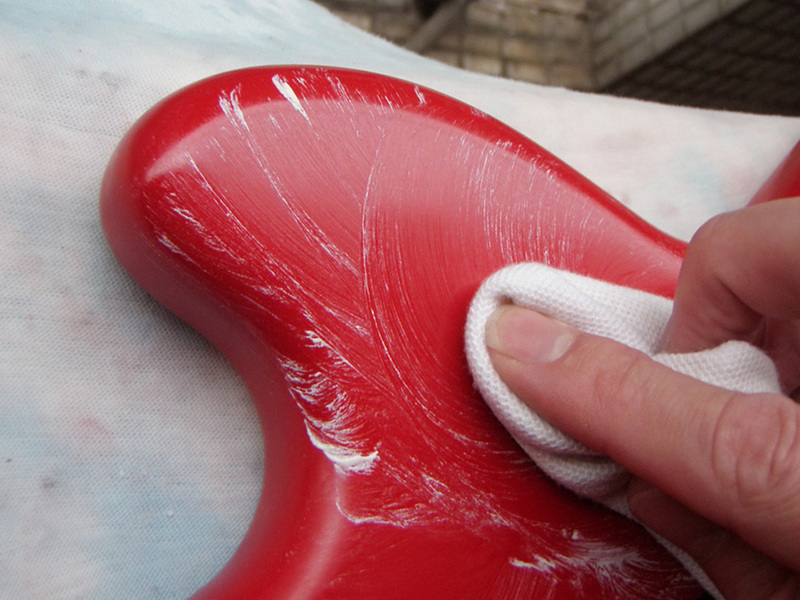 Rather than applying hundreds of coats of paint until these were filled in, they were spot-filled instead. 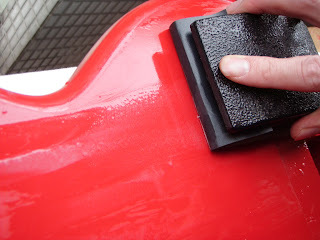 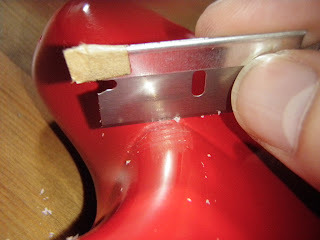 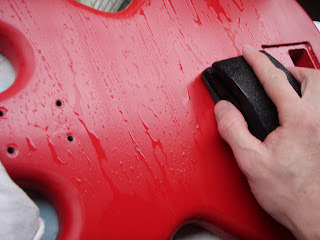 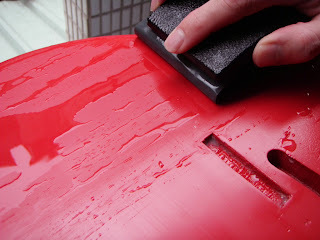 To do this, we sprayed some of the red paint from the same rattle can into the rattle can lid, left it to thicken up for 10 minutes or so, and then applied it with a small paint brush (the paint brush can be cleaned afterwards with mineral spirits (turps) and live to see another day). The filled-in areas were then sanded back again. After that, it was wet sanded with 600 grit paper, again wrapped around a sanding block, and making sure to sand in a different direction to the 400 grit paper. 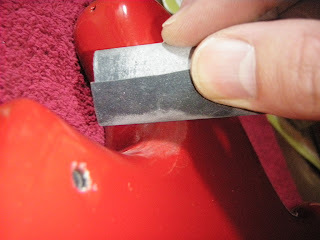 This is to make sure no marks left by the 400 grit paper were missed. 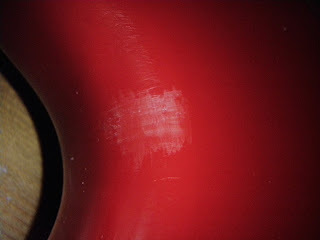 The camera flash is really showing the micro-scratches left by the rubbing compound in this photo, but to the naked eye they're not very visible at all. 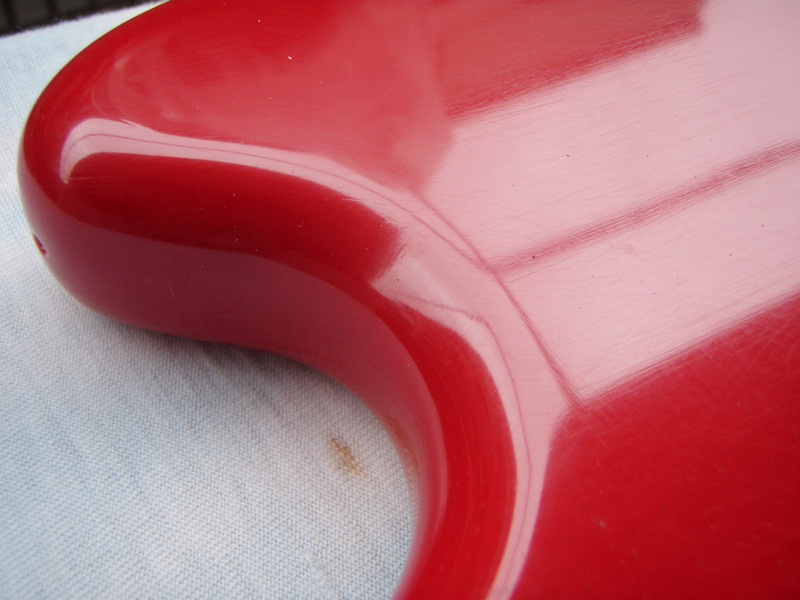 I'm going to wait another month or two before finally polishing them out, since it's become evident that the lacquer is still a bit too soft (more on that in the next post).